​Barcelona and Manchester City face missing out on longstanding target Frenkie de Jong to European rivals Paris Saint-Germain if the latest gossip from the player's native Netherlands is to be believed, with PSG reportedly paying Ajax a visit this week and making their interest clear. 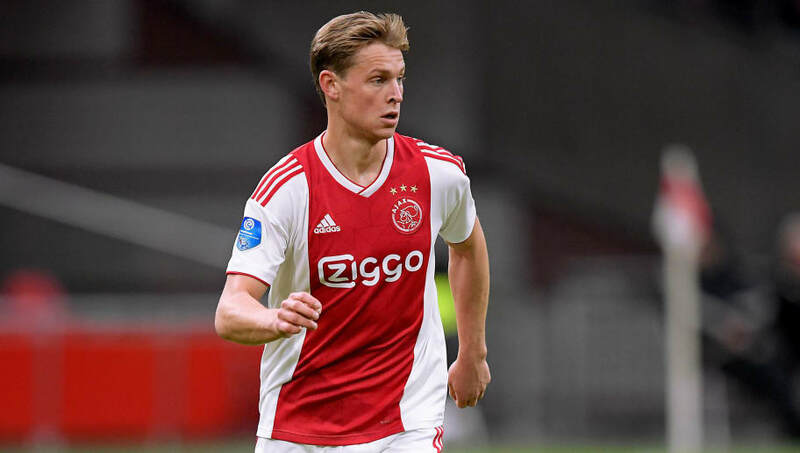 De Jong, along with Ajax teammate Matthijs de Ligt, has been linked with a move to Camp Nou and the Etihad Stadium for months and is increasingly seen as of the world's best new talents. Many had expected the 21-year-old to eventually join Barça when the time was right, but ​De Telegraaf has now reported that a PSG delegation arrived in Amsterdam this week and informed Ajax of their willingness to make an enormous €75m bid. While it is noted that there is no 'final agreement' in place and that other clubs remain interested, De Telegraaf also acknowledges that €75m is the price set by Ajax director Marc Overmars. The overall implication and tone is that a deal might not be far away. Kylian Mbappe has apparently played a key role in PSG moving for de Jong, with the teenage forward apparently reporting back to his club after recently facing de Jong in Netherlands colours while in action for France during the UEFA Nations League. Barça and City may have little choice but to now move quickly in order to match PSG if they do not wish to lose out. Relations between the Catalan club and PSG have been rather fraught in recent years. PSG ripped Neymar from Camp Nou against Barça's will in 2017 by triggering the Brazilian superstar's €222m buyout clause, while they have also knocked heads over Marco Verratti. It still seems that de Jong himself would actually be keen on joining either Barça or City, telling The Guardian just this week how much he admires the style of play. "I love this style," he said. "Get the ball back quickly, then play possession with so many combinations. When you watch that, you get the feeling you want to go out on the pitch and play football with your friends and just enjoy yourself. Man City and Barcelona are great examples."